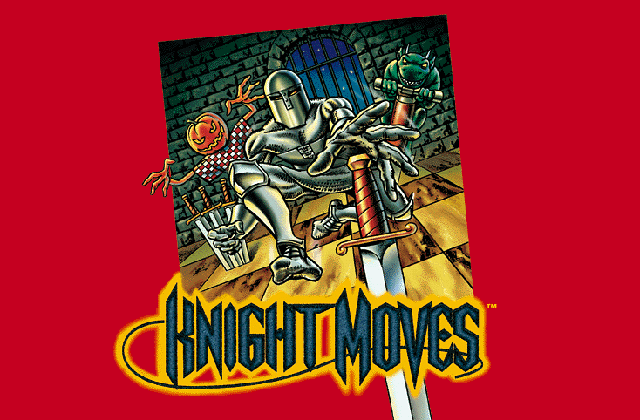 There’s no point skirting around the very, very silly premise of Knight Moves. 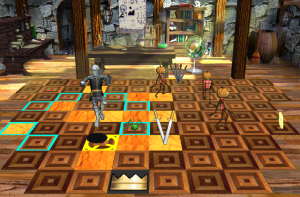 It’s a puzzle game where your character moves in an L-shape like a chess knight. In each stage, your knight character (an actual knight) collects coins or swords to open the exit to the next room of a castle. This concept has no business being stretched out to dozens of levels, but you have to love the game for sticking with it despite that. The chess movement doesn’t present much challenge, surprisingly. Although you can’t always move your knight directly to a space with a coin, you’ll eventually land there after futzing around it in circle for a while. Though the game adds minor variations, like tiles that turn into hazards if you land on them too often, the differences are usually washed out by all the futzing. More intriguingly, your knight never stops and always needs to move to a new space. You can jump to your next spot immediately, or the knight will slowly, automatically leap to another tile. This sets up some enjoyably awkward situations with the spooky creatures that roam the board. You have to adapt to enemy movement patterns while staying in motion, which complicates the little dance you do around the coins you’re trying to collect. Landing anywhere precisely can be a bit of a crapshoot. So, maybe it mixes equal parts quick thinking and dumb luck. And maybe the whole thing barely makes sense to begin with. Oh well! If Knight Moves isn’t a well-thought-out game, by god, at least it tried something. Come join The Obscuritory 24-Hour Charity Game Marathon Tea Party! 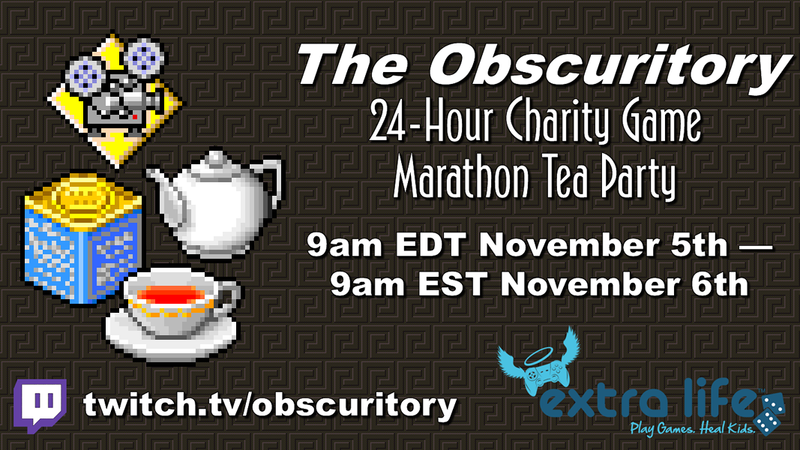 In three weeks, on Saturday, November 5th, you are invited to the first annual Obscuritory 24-Hour Charity Game Marathon Tea Party! So… what is this, exactly? November 5th is Extra Life, a gaming marathon fundraising event in support of Children’s Miracle Network Hospitals. I’ll be streaming for 24 hours straight in support of the Children’s National Medical Center, the only exclusively pediatric hospital in the Washington, DC area. In keeping with the mission of The Obscuritory, I’ll be playing multimedia software, shareware CDs, edutainment titles, weird old experiments, and who knows what else while soliciting donations from the wonderful folks at home. 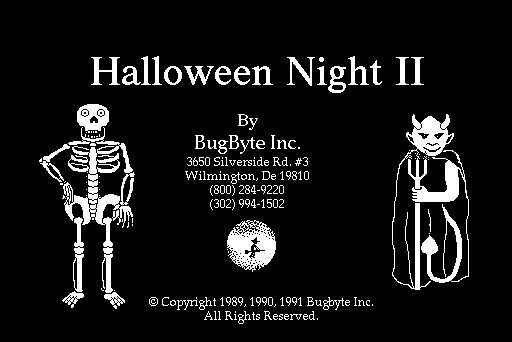 My fundraising goal this year is $150, and if we can reach that… I’m going to play an extremely terrible DOS game I made when I was 10 years old. It will be worth it. And, as the name suggests, I’m going to be drinking a lot of tea to get myself through this. I’m big on black teas (and sometimes herbal, depends), so I’ll be sharing my favorite blends over the course of the day. You’re welcome to drink tea too! Stay tuned for more info. I’m going to try to block out the 24-hour schedule so people can tune in for specific games. If anyone has any suggestions about what you’d like see streamed, please drop a line! UPDATE: Here’s a full, tentative schedule of what will be on the stream this weekend. Things kickoff at 9am EDT as my stomach confronts its arch-nemesis, Ballistics. Hope to see you there! UPDATE 2: I called the stream early because it took a much harder toll on me than I expected, but in 14 1/2 hours, we raised $200 for the Children’s National Medical Center and drank nine cups of tea. This was an excellent event, and I’m overwhelmed by the support. Thank you so much for watching and donating, and I hope everyone had a great time! 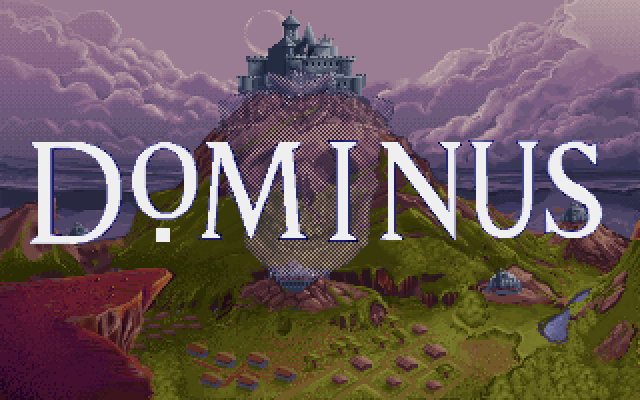 Dominus grants you a bird’s-eye view of a swirling battle that spans across a countryside. It also lets you peek into individual houses. I haven’t posted in a bit, for a combination of personal life stuff and other projects (more on that to come soon, hopefully! ), but I wanted to share a wild story from educational software history that seems all but forgotten about. In 1998, Panasonic Interactive Media released Secret Writer’s Society, a game designed to help kids with writing. I haven’t been able to play Secret Writer’s Society (it’s hard to find, for reasons that’ll be obvious), so it’s unclear whether the program was well-made or effective. It seems to focus on writing structure, planning, and drafting rather than the creative side of the process – maybe necessary but rote lessons. The programmer’s statements are probably over-the-top, especially since educational programs often serve as supplements to teaching and parenting rather than substitutes. But the criticism is still valid. We do need to think about what happens, good or bad, when we automate those responsibilities. Panasonic is probably glad nobody remembers all this, but Secret Writer’s Society made for a bizarre example in a debate about education quality that continues today. UPDATE: As game history vlogger Chris Chapman pointed out to me, the founder of RTMark admitted in 2014 that the organization lied about its early history and didn’t really exist when the Barbie and SimCopter stunts happened. But by 1998, the organization was actually funding projects, so this may have legitimately been an act of sabotage. UPDATE (3/5/18): Amazingly, I got a copy. Read on for the full story! UPDATE (6/26/18): After analysis from some readers, it seems a bug may really have been the culprit, but it’s still potentially complicated. I’ve updated the second post with more details. UPDATE (7/12/18): RTMark co-founder Igor Vamos confirmed to me via email that the sabotage story was a hoax. It was, instead, just the worst bug ever in an educational game. I’ve updated the language in this post to reflect that their story was fabricated. See the second post for full information.